There are no “magic bullets,” but there are healthy ingredients that make a difference in your diet. 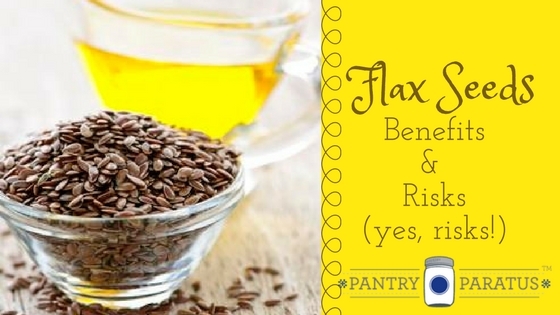 Flax seed is one such ingredient in my pantry, as well as flax seed oil. I love the flavor of the oil and it gives a twist to the old stand-by recipes, like in this Flax Oil Pesto! The seeds are a staple in my breads and sometimes my casserole dishes too. I always put it in my granola, crackers and have even experimented with it in cookies. It’s versatility and health benefits can be found on practically any and every website touting nutrition or baking. Since I tout both, this is my contribution. Being a lover of flax and hearing the many tales of its healing properties, imagine my surprise when I read the following on a package label: Raw flax (also known as linseed) seeds contain a cyanogenic glycoside which is toxic if consumed in large quantities (20-30 tablespoons per day). 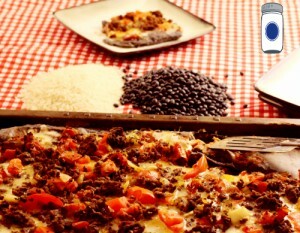 The cyanogenic glycosides are volatile and will readily dissipate when flax is cooked. I certainly don’t consume it raw as a general rule, and certainly not in those quantities…but why had I never heard this before? High Fiber—the seed itself is indigestible, and so used whole, you will benefit from the fiber as it will work as a broom to help sweep everything else out of your system. Be sure to eat it this way with plenty of water, or it can increase constipation instead of solve it. All fiber must be consumed with water! Omega 3 Fatty Acids—The American diet generally contains 25 times more omega-6 fatty acids than omega-3 fatty acids. This is another post for another day, but just know that Omega 6 Fatty Acids are very inflammatory whereas Omega 3 Fatty Acids are very anti-inflammatory. Omega 6 Fatty Acids aren’t evil either—they are essential (meaning that your body does not produce them naturally, but you need them through foods) for healthy brain function and to promote normal growth and development. 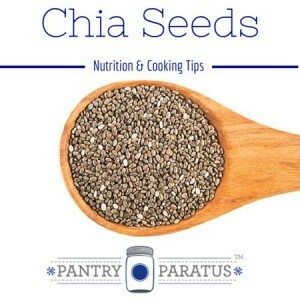 “Also known as polyunsaturated fatty acids (PUFAs), they help stimulate skin and hair growth, maintain bone health, regulate metabolism, and maintain the reproductive system (University of Maryland Medical Center, 2011).” Oh, and did you know that Chia Seeds are also a great source for Omega 3 (read more about that). Why hijack a discussion on Omega #3 with the woes of Omega #6? Because you need them in balance. Too much of #6 will leave you feeling sore, tired, and might exacerbate diabetes and skin conditions such as eczema or psoriasis. The Mediterreanean diet balances these two essential acids very well and their historical use of flax is well-documented (throughout the Bible as well as other supportive documentation showing the medicinal and nutritional use of flax in Egypt 3,000 BC). Lignans—These are antioxidants that also have some hormonal properties. Doctors sometimes recommend flax as a first line of defense to realign hormones for heat flashes, menopause, and other times of hormonal imbalance. Some recommend abstaining from flax during pregnancy or breastfeeding; others recommend it. Please consult your physician prior to use during these times. Flaxseed contains 75-800 times more lignans than other plant foods (Magee, 2005). Chronic Disease Preventative (Cancer and Heart Disease)—As for the cancer, flax seed hits it hard from two directions: the lignans have been shown in studies to prevent breast cancer, colon cancer, and prostate cancer; ALA, the Omega 3 acid found within flax seed, inhibits tumor occurrence and growth (Magee, 2005; Thompson, 1996). As for the Heart Disease, flax seed hits it hard from two different directions as well: the amino acid groups and the omega 3 work together to lower blood pressure and regulate the heartbeat. Some studies show that it can prevent the hardening of the arteries and eliminate the deposit of plaque (Magee, 2005). It is recommended that you seek the advice of your physician before adding flax to your diet if you: 1) are pregnant or lactating, 2) taking medications for diabetes, a heart-related disease, blood pressure medication, or hormonal supplements. It can thin the blood and so those who already take blood thinners or have related conditions should first seek medical advice. As for the cyanogenic glycoside…yes, I was able to confirm this beyond the label (Shahidi, F., 1997; Thompson, L., 2003, pgs 24-27). It is a form of cyanide just like that you would find in the pit of some of your favorite fruits; it’s purpose is as a defense mechanism. However, the taste of the seeds would prevent this type of raw indulgence and this property is quickly released through heat. A few raw seeds will not accumulate to detectible levels and people have been eating flax since the beginning of time. Remember, there is no miracle drug and all things in life require moderation (as Julia Child once said…even moderation in moderation). We must use caution before we villainize one nutrient (such as Omega 6, for instance) or saint another. But as for flax, it’s on my short-list for nearly perfect foods! Shahidi, F., 1997. Antinutrients and Phytochemicals in Food , Chapter: Cyanogenic Glycosides of Flaxseeds. American Chemical Society. Thompson, L., 2003. Flaxseed in human nutrition. Taylor and Francis. Note: I am not a medical professional. I hope to inform, and encourage anyone with questions regarding personal health to seek a trained medical professional. Flax seeds are very popular especially with my wife and her friends. I have to admit, I wasn’t interested until I tried a flaxseed muffin. I am not sure what her recipe is but they are addictive. Great research and I appreciate the Julia Child reference!